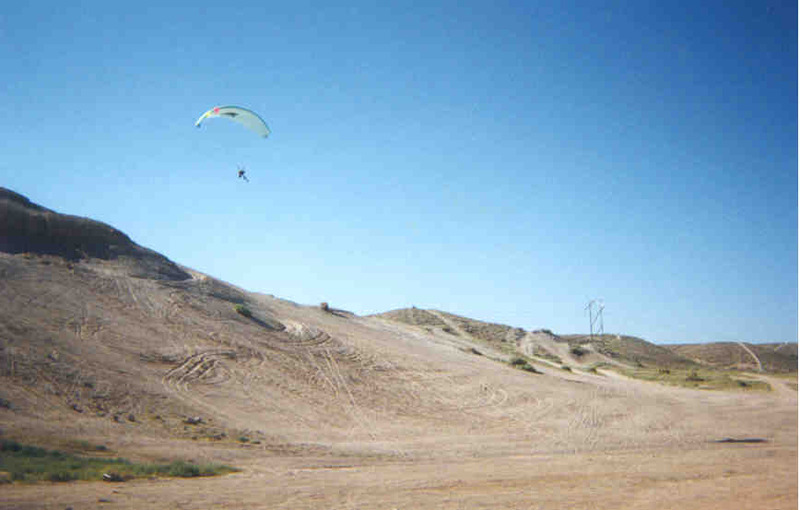 In the fall of 1996 I traveled to Albuquerque New Mexico to meet a friend who lived at the time in Santa Fe to go Paragliding. At the time I didn't know much about the sport, but I was willing to try it. 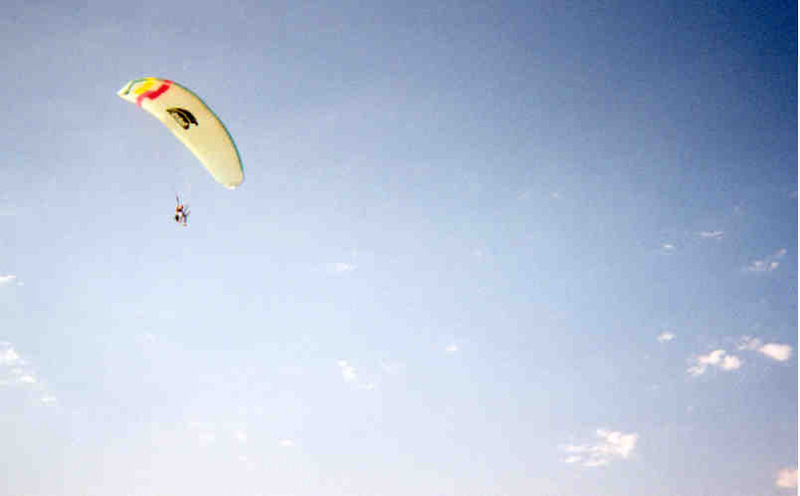 For those who are not familiar with paragliding, you have a chute similar to a parachute, but the chute is designed more as a wing then a device just to slow your descent. Basically you get in to a harness and you have the chute trailing behind you. You then start running, and as you begin moving the chute rises in the air and eventually is above you. As you approach the cliff you feet become light and you gently glide off the mountain. In your hands are two control ropes for controlling your movements. Pulling down on one control moves you that direction. Pulling down on both ropes is like an instant brake. If you ever have the chance to try this out, do it. It is the most exhilarating experience.